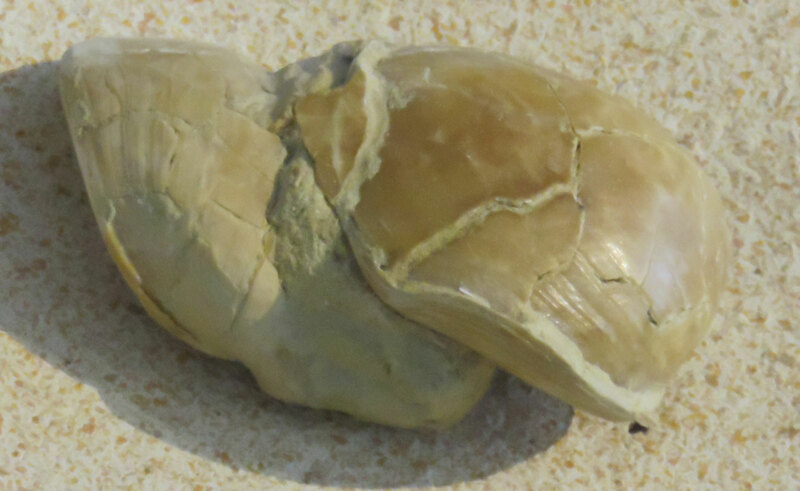 This image is of a Terebratula lecce brachiopod fossil on display at Mace Brown Museum of Natural History (August 2017). It dates to the Pliocene Epoch (about 4 million years ago). 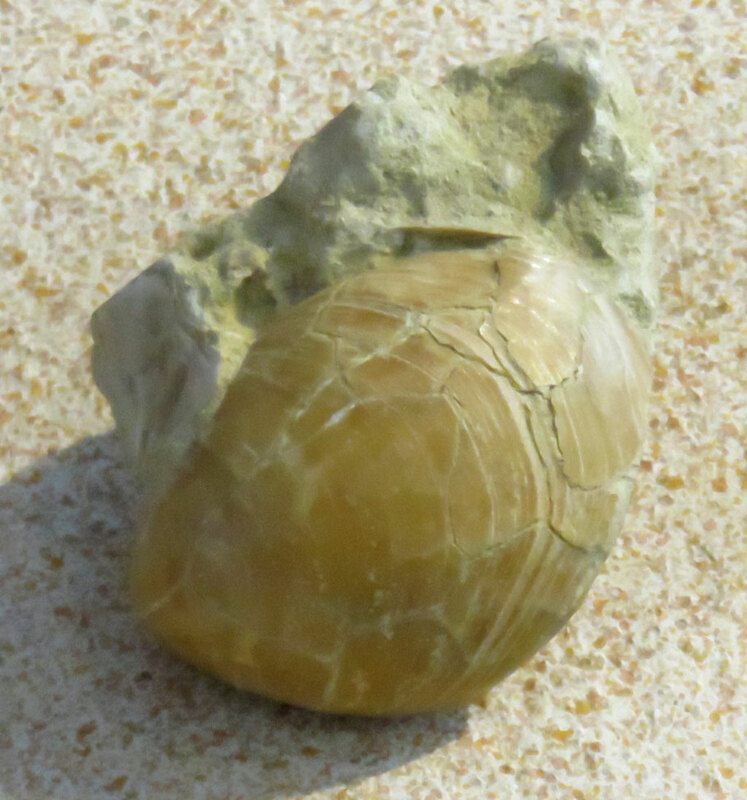 The fossil was found in Lecce, Italy.